Our part-time lifesaver housekeeper used a sturdy shawl to do this today. She was able to do all the house work like this. It's just a piece of cloth tied securely and babies love the closeness. 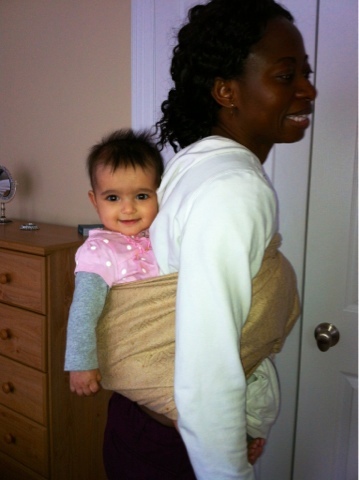 I'd love to do this to Anjali also especially in light of recent separation anxiety but I'm so scared of dropping her!